The Professional and Fiduciary Counsel and Litigation Practice Group combines skill and experience to handle today’s highly-specialized professional and fiduciary advice, administrative/disciplinary proceedings and litigation. We also work with our other practice groups to counsel fiduciaries in connection with their duties. 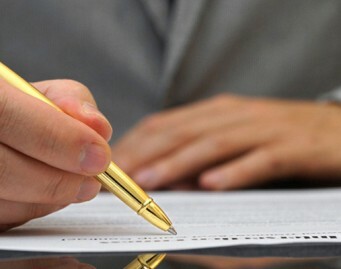 • Executors, trustees and guardianships – In addition to defending them in court, our group advises fiduciaries every day on ways to avoid litigation and, when possible, on proven techniques for amicably resolving disputes before going to court. • Banks and trust companies – Our attorneys analyze policies and practices before problems arise in order to improve the chance of avoiding litigation. We make timely and creative recommendations for improvements. • Corporate fiduciaries – Our group understands that reputations are at stake. We are sensitive to the needs of our clients. Our group has given advice on a variety of matters. Our team also has experience in corporate fiduciary litigation, including self-dealing, usurping corporate opportunities and breach of fiduciary duties. • Lawyers – Our group has defended individuals against claims of malpractice, self-dealing, fraud, breach of fiduciary duty and negligence. We have represented lawyers in ethics and grievance matters involving lawyer discipline. Our attorneys have experience in handling a variety of remedies including requests for fee forfeiture, constructive trusts, and injunctions. • Medical and Other Professionals – We have represented medical doctors, dentists, veterinarians, accountants and other professionals in claims of malpractice and in administrative hearings regarding discipline and licensing.